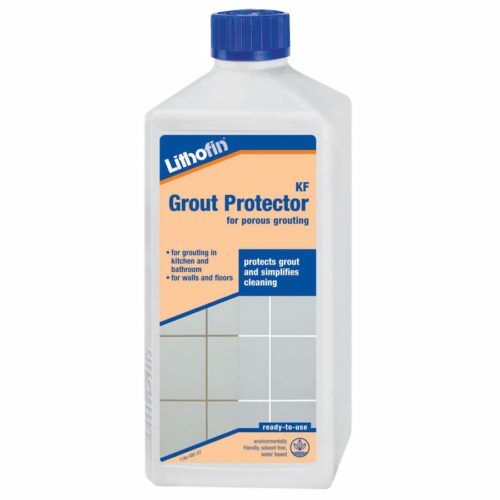 A special product from the LITHOFIN-Range for ceramic and porcelain tiles (KF). 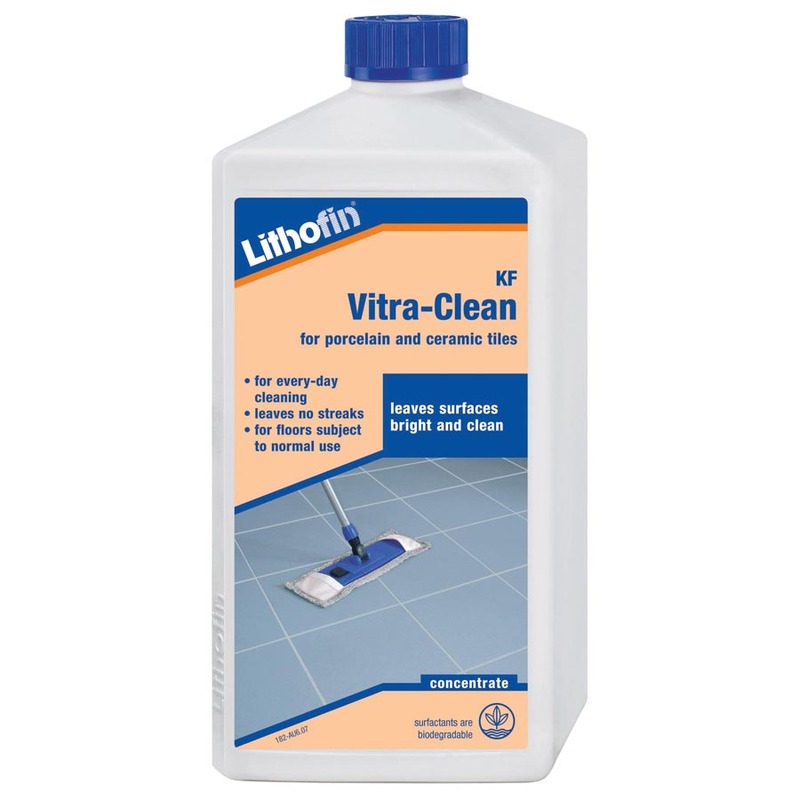 Lithofin KF Vitra-Clean is a mildly alkaline maintenance product formulated for every-day use. This high-yielding concentrate is added to the wash water, and it cleans and maintains in one simple operation. Selected raw materials ensure an optimum, streak-free cleaning effect without building up layers. Surfaces become more attractive and less sensitive with continued use. 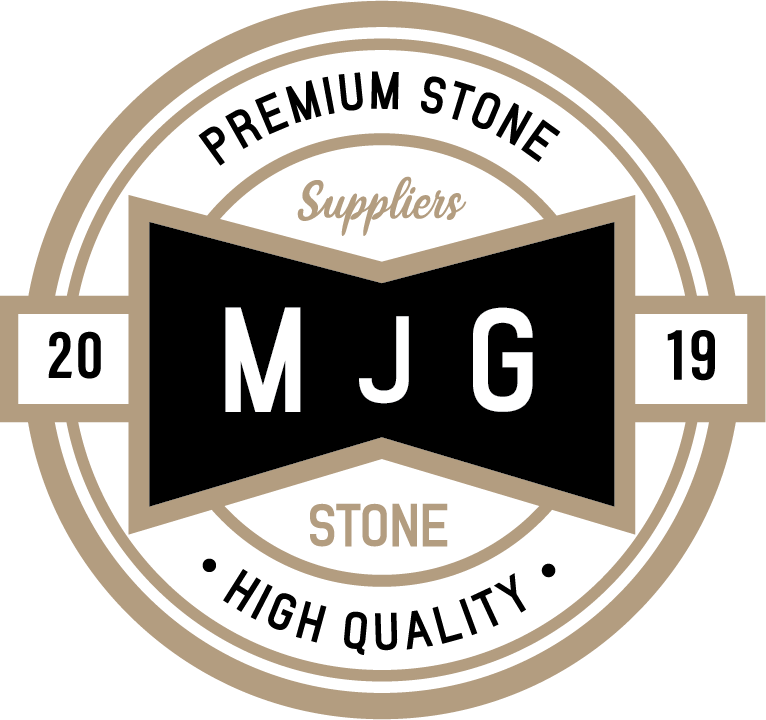 For regular maintenance cleaning of all polished and unglazed vitrified ceramic and porcelain tile surfaces which are subject to normal levels of wear and tear. Add one squirt of Lithofin KF Vitra-Clean to a 10 litre bucket of water. Wipe the floor with a wet cloth, then wring out the cloth and wipe again in order to remove the product. Do not walk on the surface until it is completely dry. Please Note: do not leave the product on sensitive surfaces. In cases of doubt, try the product in an inconspicuous area. 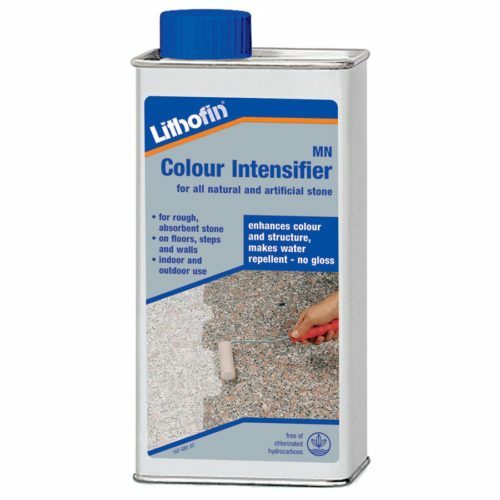 Advice: surfaces which are subject to high levels of wear and tear should occasionally be cleaned with Lithofin KF Intensive Cleaner. 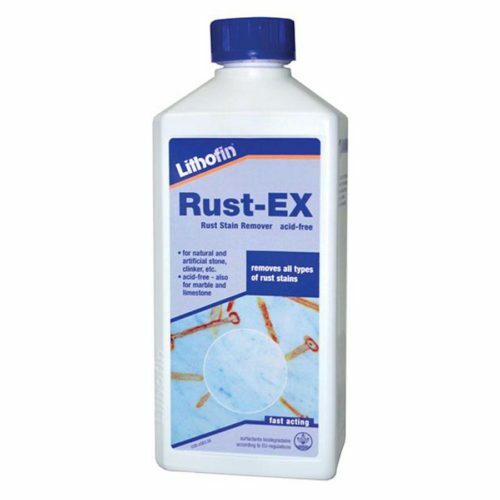 Calcium deposits, rust and soap scum can be removed with Lithofin KF Active-Clean. Keep closed, cool and dry. Shelf life of up to 5 years. Disposal: diluted product may be added to waste water. Containers are made of environmentally friendly polyethylene (PE). Clean containers can be recycled through collection systems. Causes serious eye irritation. Keep out of reach of children. Wear eye/face protection. If eye irritation persists: Get medical advice/attention. IF IN EYES: Rinse cautiously with water for several minutes. Remove contact lenses, if present and easy to do. Continue rinsing.